Jason Chang is an effective real estate attorney, who represents clients throughout New York City and out-of-state clients in real estate transactions, as well as in complex real estate litigation. He also assists individuals, partnerships and corporations in devising and implementing mortgage and real estate property plans. The Law Office of Jason Chang is a New York City law firm involved primarily in real estate litigation, foreclosures, mortgages, sales and related real estate matters. You may ask the attorney your question, regarding any of the three specialty areas of real estate litigation, mortgage foreclosure or real estate transactions. Please note that any answers would necessarily be general in nature and to be used only as a guideline. 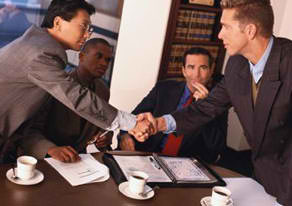 Each case is unique and, if you choose this attorney to represent you, conferencing by telephone or in person may be required. Send me a brief description of your legal issue.